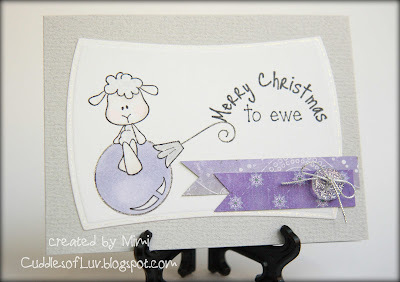 This is Ornament Ewe and a matching sentiment from last year's release. Used a Spellbinder's Reverse Wonky Rectangles, and cut a couple of banners from the xmas scrap pile. To add some metallic sparkle, used the Clear Star pen around the edges of the ornament and the frame of the wonky rectangle. Found a metallic silver button and some silver elastic tie for the bow. yup... another gift card holder! stamped with a sentiment from Amy R's Winter set. Please stop by the ATS Challenge blog to see more from the team. 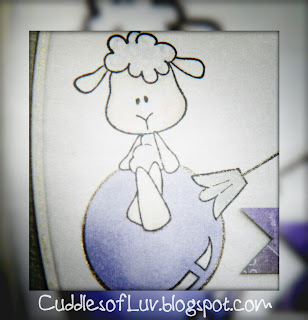 You still have plenty of time to link up and the prize this time is 3 CC Design Rubber Stamps!!! too cute! 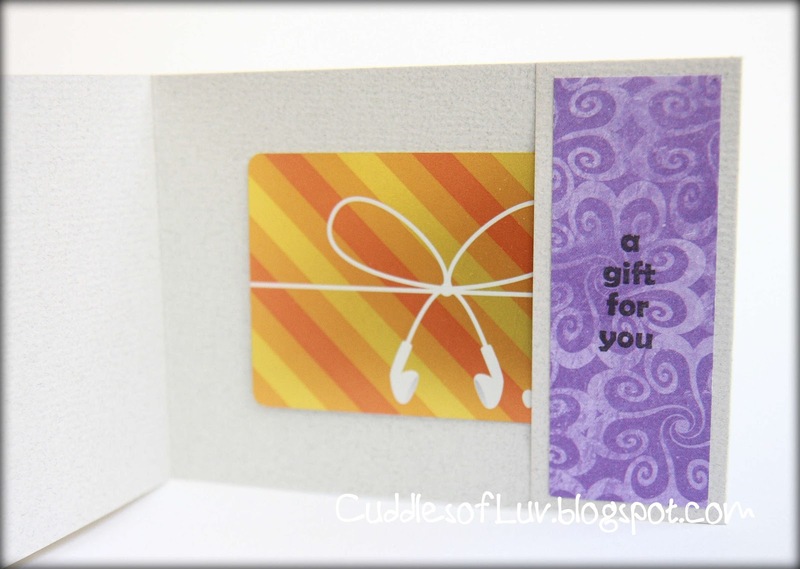 great giftcard holder! Just adorable. Thanks for joining us at Color Me Creative. Good luck on the Challenge. We love seeing all the wonderful creations. This is very sweet, Mimi! Cute! SIMPLY ADORABLE! SWEET DESIGN AND BEAUTIFUL COLORS.